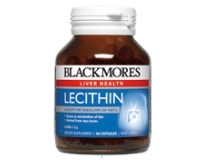 Lecithin is derived from soya beans and may assist in the distribution and assimilation of fats in the digestive system. Adults - Take one capsule twice daily with meals, or as professionally prescribed. Children under 12 - As professionally prescribed. None noted in the literature at the recommended dosage. None noted in the literature.